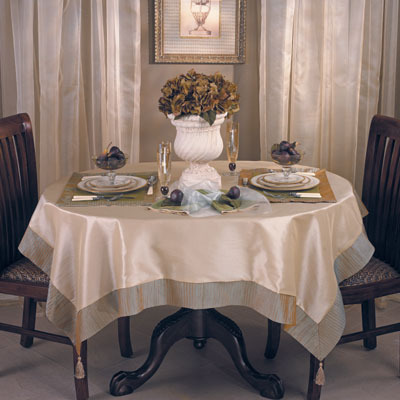 Luminous two-tone and tone-on-tone tablecloths with crushed border. The square tablecloths come with tassels on each corner. The 90" round tablecloths can also be used as a liner.